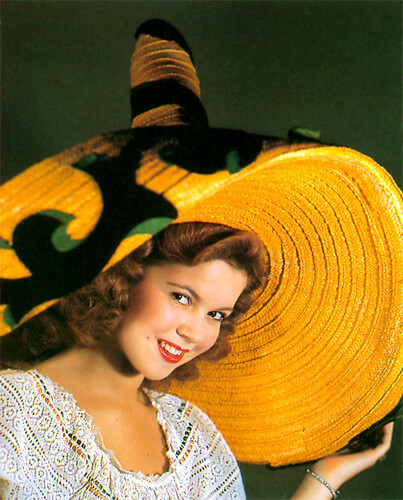 We continue our series honoring old Hollywood stars who passed away in 2014 with the remarkable Shirley Temple. 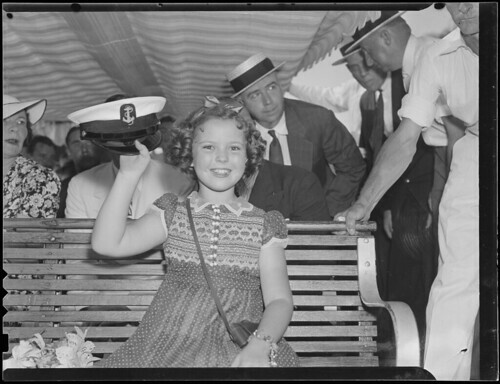 Shirley Temple's bright smile and sunny optimism brought joy to millions of Americans during the the Great Depression. Temple was the biggest movie star in the world throughout much of the 1930s, appearing in several musical comedies and historical features for 20th Century Fox. Temple's films always featured her as a plucky, sometimes down-on-her-luck girl who defeats all obstacles through her precocious good cheer and perseverance. Unlike many child stars, Temple aged gracefully. She became an accomplished diplomat, serving as the U.S ambassador to Ghana and Czechoslovakia. Shirley Temple plays Santa Claus. Temple was born on April 23, 1928 in Santa Monica, Calif. Her parents already had two older sons, but Shirley immediately became her mother Gertrude's favorite child. Gertrude was a homemaker, but she always had ambitions of becoming a performer. When Shirley came along, she poured her considerable energy into making her beautiful little daughter a movie star. Gertrude enrolled Shirley in Mrs. Meglin's Dance Studio in Los Angeles when she was 3 years old. While at Meglin's, Shirley was noticed by a casting director for Educational Pictures, a low-budget studio that featured child actors. Shirley was placed in Educational's series Baby Burlesks, which were parodies of films that featured child performers. Shirley appeared in several Baby Burlesks, imitating the very grown-up movies stars Marlene Dietrich, Dolores Del Rio and Mae West. 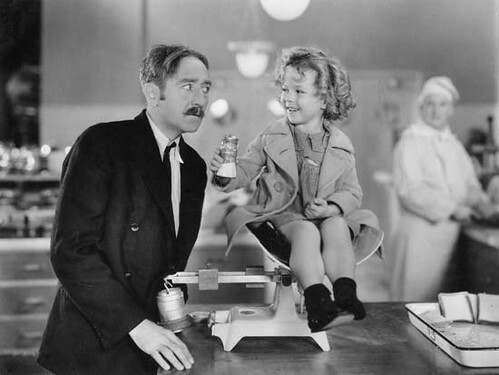 Shirley Temple and Aldophe Menjou in Little Miss Marker (1934). Shirley landed on her feet after Educational went bankrupt in 1933. Fox songwriter Jay Gorney saw her dancing in a movie theater lobby and asked her to audition for a part in the James Dunn musical, Stand Up and Cheer. Shirley won the role and when Fox executives saw her precocious talent in the Baby, Take A Bow number they immediately signed her to a long-term contract. Shirley's profile was further heightened by her success in Little Miss Marker (1934), although co-star Aldophe Menjou was less than thrilled with the pint-sized sensation. He complained that she was "A 6-year-old Ethel Barrymore" who was "making a stooge out of me." Shirley's breakthrough role was in Bright Eyes (1934), the first film that was specifically designed for her. Bright Eyes set the template for Temple films: Shirley is a plucky orphan who perseveres against cruel fate to win over the cold-hearted adults around her. Bright Eyes highlights Shirley's considerable singing and dancing abilities. Her charming rendition of On the Good Ship Lollipop became her signature song (above). 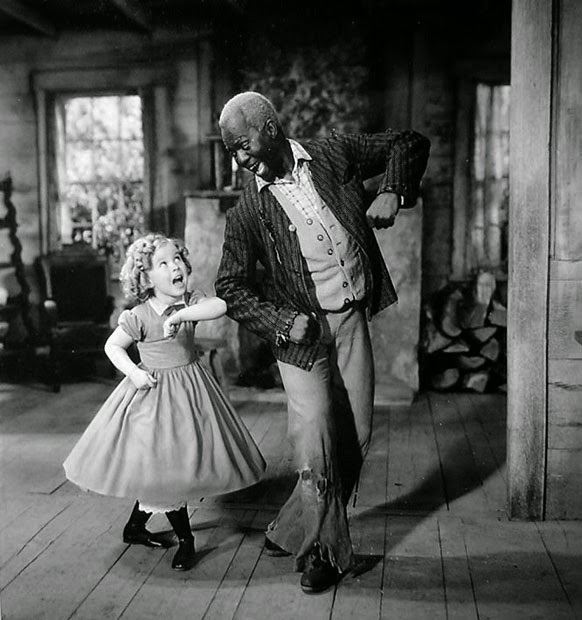 Shirley Temple and Bill Robinson tap dance in The Littlest Rebel (1935). Bright Eyes was a smash. Fox executives quickly placed Shirley in several films to capitalize on her unprecedented popularity. Her most memorable film of this period was The Little Colonel (1935), a Civil War feature in which she was paired with legendary dancer Bill "Bojangles" Robinson. Robinson and Shirley made movie history by being the first interracial duo allowed to dance onscreen. Shirley treasured her time spent with Robinson and considered him a lifelong friend according to an interview with NPR. "Bill Robinson treated me as an equal, which was very important to me," She recalled. "He didn't talk down to me, like I was a little girl. I liked people like that and Bill Robinson was the best of all." Shirley became a pop culture phenomenon and a powerful brand name. She advertised everything from Wheaties to Packard automobiles and there were several products, including crockery and dolls that were licensed under her. The famous Shirley Temple cocktail -- a non-alcoholic drink made with ginger ale, grenadine and a cherry on top -- became a sensation although Shirley herself never cared for the drink. 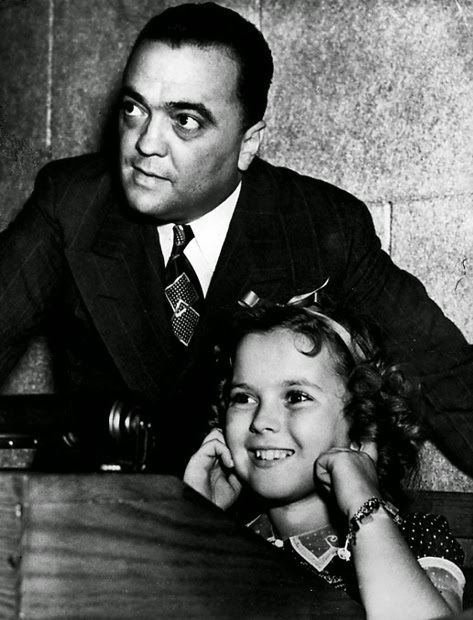 Celebrities, including FBI director J. Edgar Hoover, clamored to meet Shirley Temple. Of course, Shirley did have her detractors. 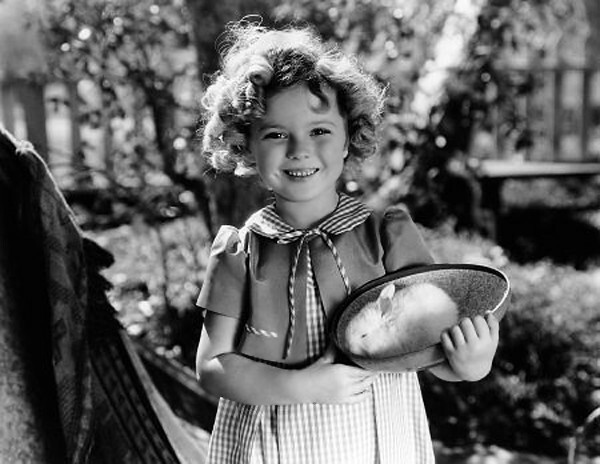 The famous author Graham Greene was sued by Fox for suggesting that Shirley was a short-statured adult who was masquerading as a child (Greene's comments were tongue-in-cheek, but there was a contingent of "truthers" who monitored everything from baby teeth to shoe size in order to prove that "child star Shirley Temple" was a fraud). 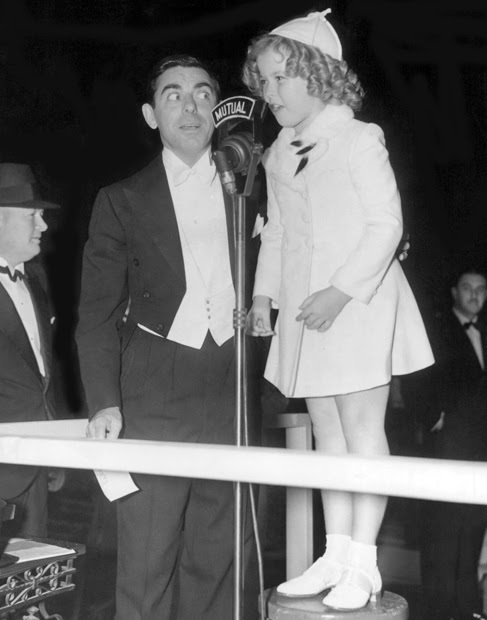 Shirley Temple takes over MC duties from Eddie Cantor at the Wee Willie Winkie premiere. As Shirley got older, her box-office draw diminished. Fox placed her in prestige projects, such as Heidi (1937), Wee Willie Winkie (1937) and The Little Princess (1939), but by the late 1930s Mickey Rooney and Judy Garland had taken over as the most popular juvenile stars. Fox tried to recreate the success of The Wizard of Oz by starring Shirley in a lavish production of the 1908 play, The Blue Bird. The film was a huge flop and Shirley's Fox contract was ended by mutual consent. Shirley Temple in a 1944 publicity shot. Shirley made two films --Kathleen (1941) for MGM and Miss Annie Rooney (1942) for United Artists -- before producer David Selznick put her under contract in 1944. Shirley made several successful films while with Selznick, including Since You Went Away (1944), The Bachelor and the Bobby Soxer (1947) and Fort Apache (1948) before retiring from acting in 1950. By this time, Shirley was married to her Fort Apache co-star John Agar. They had a daughter, Linda, in 1948, but the marriage was rocky and they divorced in 1950. Shirley quickly married again, this time to Navy officer Charles Black. They had two more children: a son, Charles, born in 1952, and a daughter, Lori, born in 1954. The couple settled in the San Francisco area where Shirley became a homemaker for awhile. Eventually, Shirley became interested in politics and she unsuccessfully ran for Congress in 1967. Shirley then moved on to a long and successful diplomatic career, becoming the U.S. ambassador to both Ghana and Czechoslovakia. Temple retired from diplomatic service in 1992. She lived a quiet life in California, occasionally stepping out to receive lifetime achievement awards. Temple died of natural causes on Feb. 10, 2014. She was 85 years old. Sources for this article were Child Star by Shirley Temple Black and Temple's New York Times Obituary. Go here for our tribute to Lauren Bacall.